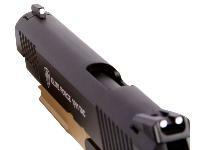 CO2 blowback pistols are an excellent sidearm choice for intense airsoft skirmishes. 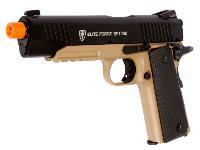 This 1911A1 pistol is manufactured by KWC and marketed by Umarex under their Elite Force brand name. 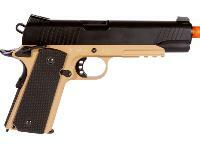 The gun is similar to other recently released 1911 pistols but includes some newly added unique features courtesy of Umarex. The magazine of the gun is updated and lets you pour the BBs in the magazine chamber instead of loading them one by one. 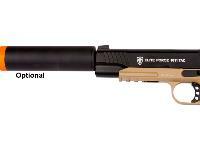 The barrel is also 14mm counter clockwise threaded, so you can add a fake silencer of your choice for added realism. 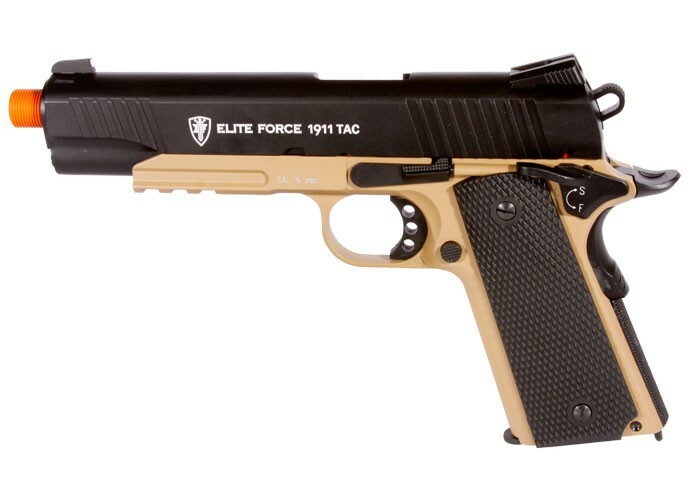 The Elite Force 1911A1 features a full metal body with black plastic grips, a 16 rd magazine, and a shot velocity of 340-380 fps (using .20g BBs). The adjustable hop-up unit lets you dial in impressive accuracy for faraway battlefield targets. 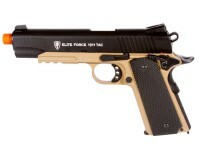 This pistol is capable of outstanding blowback recoil & accuracy. 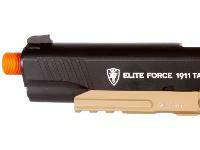 Pick one up for your next airsoft skirmish! Things I liked: I like the feel of the blowback and that it is a co2. 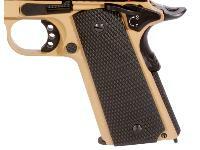 This fits my 1911 holster for IASS 3gun and Steel action shooting. Things I would have changed: It should come with two mag's not one. What others should know: Our club has 5 of these guns we use them to teach people how to shoot steel target, IDPA and 3 gun. We do all this shooting and teaching thru the IASS programs. Things I liked: Sturdy construction, attention for details, blowback feel, overall looks and weight. Things I would have changed: Rail should be longer, to better keep the slide aligned. 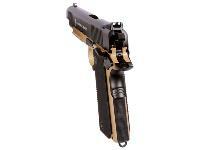 Blowback takes too much gas; I would exchange some of the realism of the blowback for more shots per cartridge. 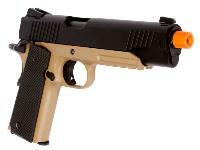 And of course, as with ALL blowback airsoft pistols, minimize the outer barrel play. What others should know: The grip safety is working (as opposed to what others say). Do you have a supressor for this gun?